Myranda played drumset and cajon in the group Sangat, a collaborative music project that was organized alongside an exchange program at UT’s South Asia Institute through grant funding from the U.S. Department of State. 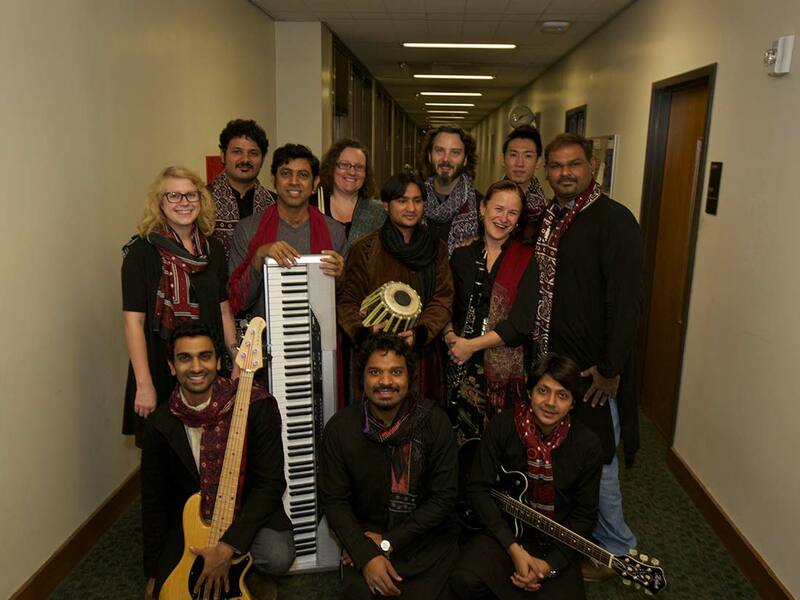 Ensemble members chose to name the group “Sangat” to draw attention to collaborative and cross-cultural nature of its eclectic music, which combined instruments, techniques and sounds of Hindustani music, Karnatak music, Qawwali, Turkish Romain music, rock, funk, reggae, and jazz. Sangat is a term with Sanskritic roots that literally translate as “a coming together,” referring to an alliance, association, or friendship. Sangat was a true fusion of musicians, sounds, and instruments from different parts of the world, and ensemble members forged strong friendships that they will cherish for a lifetime.